It was a funeral masquerading as a baptism. In Brussels, British Prime Minister Theresa May’s Brexit deal was welcomed into the world by the UK’s 27 soon-to-be-ex-partners and the priesthood of the European commission. Yet she should have been wearing black and a mantilla. The deal is, as former prime ministerTony Blair told the BBC’s Andrew Marr, a “dodo”. In her open letter to the nation, the prime minister declared that the agreement “is in our national interest — one that works for our whole country and all of our people ... a deal for a brighter future”. But this is an ex-deal. The only reason it is sitting on its perch is because it has been nailed there. It is dead because — barring a truly dramatic realignment of parliamentary opinion — it simply cannot survive the “meaningful vote” in the House of Commons expected on December 10. Julian Smith, the government chief whip — who looks like a dentist who positively enjoys giving his patients insufficient Novocaine — is now May’s most important cabinet colleague by far. In the next fortnight he and his team must use every conceivable inducement and threat to reach the magic total of 320 votes: knighthoods, peerages, gongs and legislative time will be offered to waverers. Those MPs who oppose the deal will be asked whether their families would really enjoy reading about their sexual indiscretions in the newspapers. Most of this nasty work will be carried out by intermediaries (even whips need plausible deniability). But any and every tactic available to the government will be used; this is life and death, and no time for political squeamishness. But I still don’t see how Smith does it. Some MPs, strapped to the dentist’s chair, will indeed give in when he holds the drill in front of their eyes and asks: “Is your vote safe?” But I have yet to be convinced that he can get from around 260 (if you assume, generously, the support for the deal of 15 Labour rebels) to 320. What really matters, then, is not the first Commons vote, but the second. Let us assume that the PM is defeated next month: the political world is then plunged into an extraordinary Christmas crisis. May could, of course, force the issue with a confidence motion — or simply resign on the spot (unlikely, given her recent pattern of behaviour). Jeremy Hunt, the foreign secretary, conceded to Marr that it was “not possible to rule out” the wholesale collapse of the government. 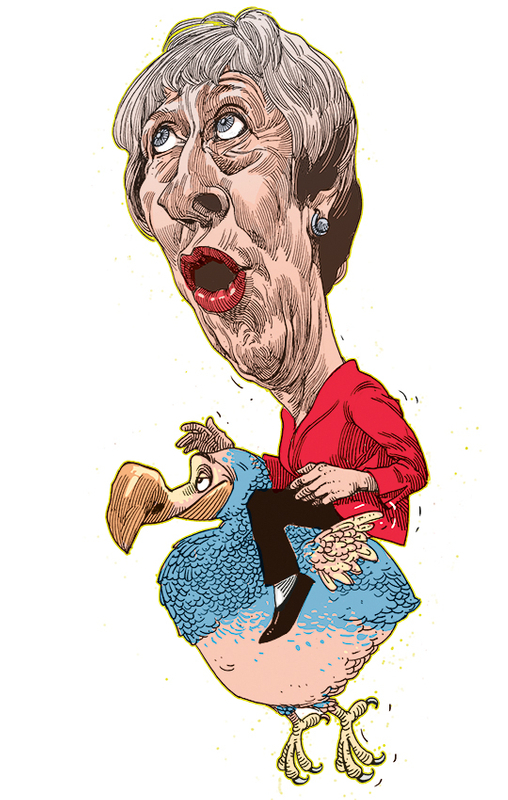 The PM might yet, in any case, face the more parochial challenge of a Conservative vote of confidence, threatening her position as party leader: Jacob Rees-Mogg only has the names of 26 Tory MPs in his elegantly tailored pocket, but that could easily increase to the necessary 48 if May’s deal was rejected by the Commons. The EU would also have to consider its response. Jean-Claude Juncker, the European commission president, declared that “this is the best deal possible. This is the only deal possible.” But the fundamental controversies etched into the deal — the Irish border “backstop”, the continued role of the European court of justice, the prospect of the UK remaining indefinitely in the customs union — are not going to be removed by Brussels in a moment of shocked epiphany. Tweaks, maybe; core alterations, absolutely not. Deplorably, senior figures in the government are actively hoping that the markets will respond with panic to the parliamentary failure of the deal, and, to adapt Dr Johnson, focus the minds of MPs sufficiently to deliver a majority second time round. Even as May shook hands with Jean-Claude Juncker, the political village was transforming itself into a noisy constitutional souq. At every stall, the traders offer alternative models: “Norway for now!”; “Canada ++!”; “Switzerland!”; “Get yer article 50 extension here!” None of these alternatives, it should be emphasised, has been seriously countenanced by the EU. But they are already being offered to curious MPs at early-bird prices. What unites this cacophonous marketplace is the absolute assumption that the deal will fail in December. The 585-page agreement and its 26-page political annex are already regarded as redundant. The variables are dizzying, the stakes vertiginous. The worst news that May has ever had to confront is that the past two-and-a-half years were the easy bit. Matthew d’Ancona is a noted political columnist.